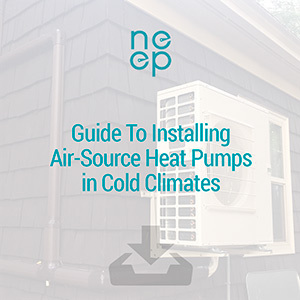 NEEP offers several resources for ASHP Installers and Consumers, including installer videos, pdf installer guides, consumer guidance, and more. The following guides provide practical, best practice guidance related to sizing and selecting ASHPs in cold climates and installing ASHPs in cold climates. 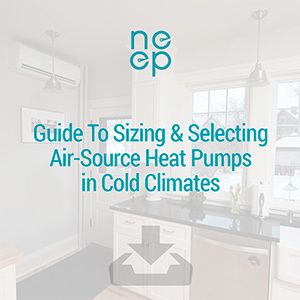 These two guides A Guide to Sizing & Selecting ASHPs in Cold Climates and A Guide to Installing ASHPs in Cold Climates, are now available for educational and reference purposes.